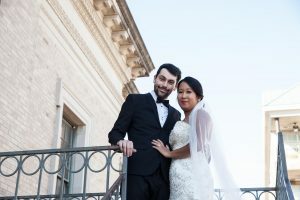 HomeNews Spotlight Congratulations Andrea and Aidan! 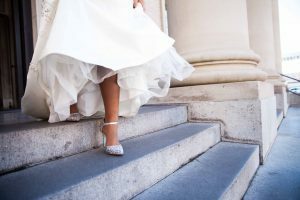 Andrea and Aidan had a small, intimate wedding at their family’s Antebellum house in Madison, Georgia. However, when they came back to Gainesville, they shared their special moment with us here at the Hippodrome too. Andrea got her hair and makeup done again, got back into her wedding dress, and Aidan got into his suit. 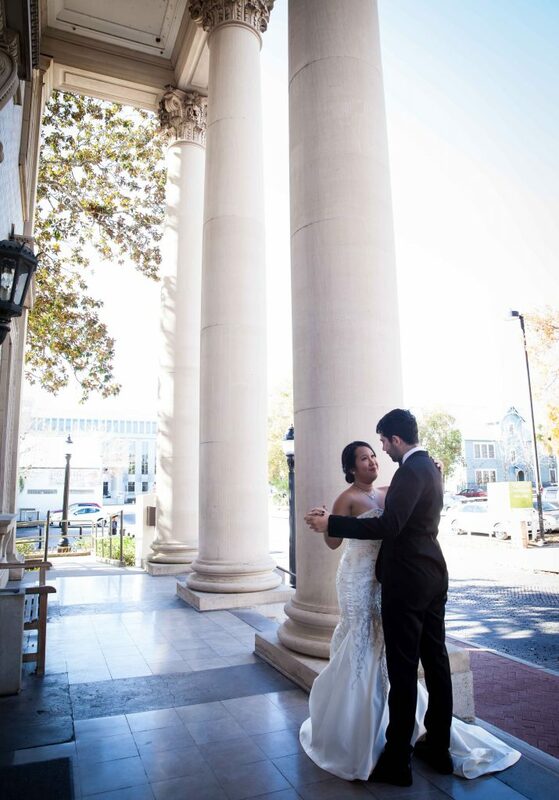 While they kept the ceremony private, they utilized the buildings facade to take photos that they could use to share with their loved ones, recreating their first dance and other special moments on the steps of the Hippodrome. 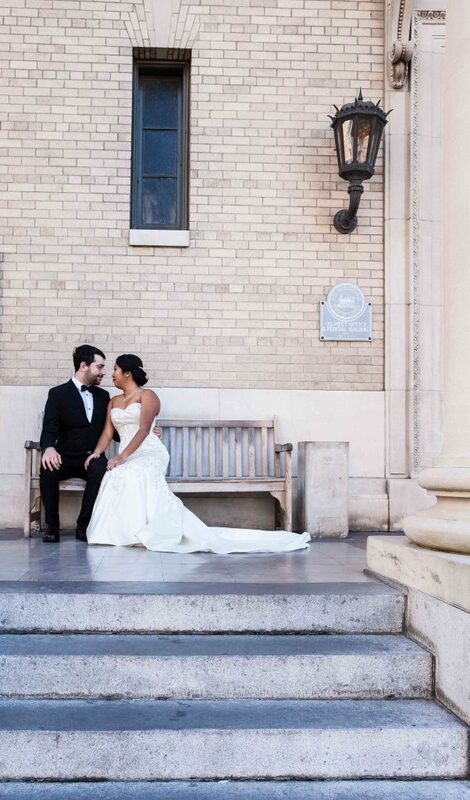 Andrea is one of the Hippodrome’s most valued employees, and she and Aidan enjoy spending date evenings at our plays and special events.